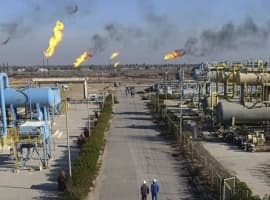 Iraq has managed to ratchet up oil production to record highs, against what would seem to be insurmountable obstacles. Despite political gridlock, a fight against ISIS militants, and the ongoing need to invest in critical infrastructure, Iraq has succeeded in boosting oil production above 4 million barrels per day (mb/d), with significant month-on-month increases over the course of much of 2015. That is enough to make it the second largest OPEC producer behind only Saudi Arabia. Yet, like most of the oil-producing world, Iraq is facing a significant financial crisis. 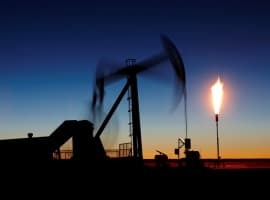 Oil prices have fallen by more than 60 percent since the summer of 2014, with Brent crude trading below $45 per barrel as of August 27. The shrinking revenue that Baghdad is taking in has more than overwhelmed the impressive production gains. Now, Iraq’s currency is getting squeezed. According to Bloomberg, Iraq’s dollar reserves have declined by 20 percent to just $59 billion as of July 23. And in order to maintain the dinar’s pegged currency rate – which stands at 1,166 dinars per dollar – the Iraqi central bank burned through $4.6 billion in foreign exchange so far in August. Related: Could The ‘Fusion Engine’ Become a Reality Before 2020? Iraq is not alone. Emerging markets across the world are facing currency crises, particularly those that are commodity producers. Currencies in many Latin American countries have been battered by the downturn in commodity markets. But China’s devaluation has put an even larger strain on other emerging markets, precipitating a devaluation in Kazakhstan, and putting stronger downward pressure on countries like Nigeria, Russia, Turkey, among others. 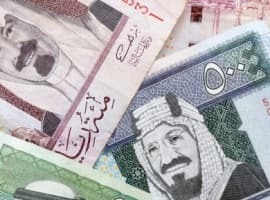 Even Saudi Arabia has come under heightened scrutiny over the integrity of its currency peg. So it is no surprise that Iraq has been caught up in the worldwide sell off. Iraq’s dwindling financial resources are a frightening problem. The fight against ISIS, which has put a greater strain on the Iraqi budget since they burst onto the scene last summer, could falter. Shrinking oil revenues affect not just Iraqi security forces, but also Kurdish forces in the northern part of the country. 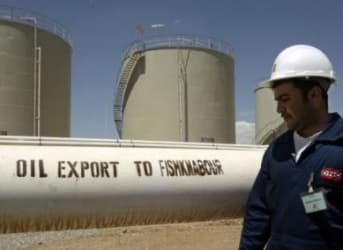 A deal fell apart between the central government and Kurdistan that essentially allowed Kurdistan to export oil under the purview of the government, and in exchange, Kurdistan would receive its promised share of the national budget. Iraq, just like Saudi Arabia, will turn to the bond markets for a fresh source of capital. But if oil prices don’t rebound, its currency will come under increasing pressure. The financial troubles also undermine the country’s oil sector. The government in Baghdad (and consequently, the government in Erbil) has fallen behind on payments to private oil companies operating in the country. In an effort to square up, Iraq recently paid $9 billion in back payments owed to oil companies from 2014, according to Reuters. And to address arrears accumulated over the course of 2015, the government plans on paying companies back in stages. An outage of an indispensable pipeline route through Turkey, allowing for Kurdish oil to be exported, has not helped matters. PKK militants have attacked Turkish pipelines, causing the disruption of exports from Kurdistan. Since July, the KRG says pipeline outages have cost the government $501 million. Ensuring payments to oil producers in Iraq, even if it means reworking the fees that companies are paid, is going to be a pivotal problem to resolve. If oil companies slash their budgets and ultimately produce well below their potential, that would lead to long-term funding problems for the Iraqi government. But with the fall in oil prices and the global stock market sell off, Iraq faces a more immediate and urgent crisis. Amid searing heat, electricity blackouts, and sudden financial upheaval, the Iraqi public is starting to get restless. OPEC Divorce And Self-Destruction Thanks To Saudi Oil Strategy?